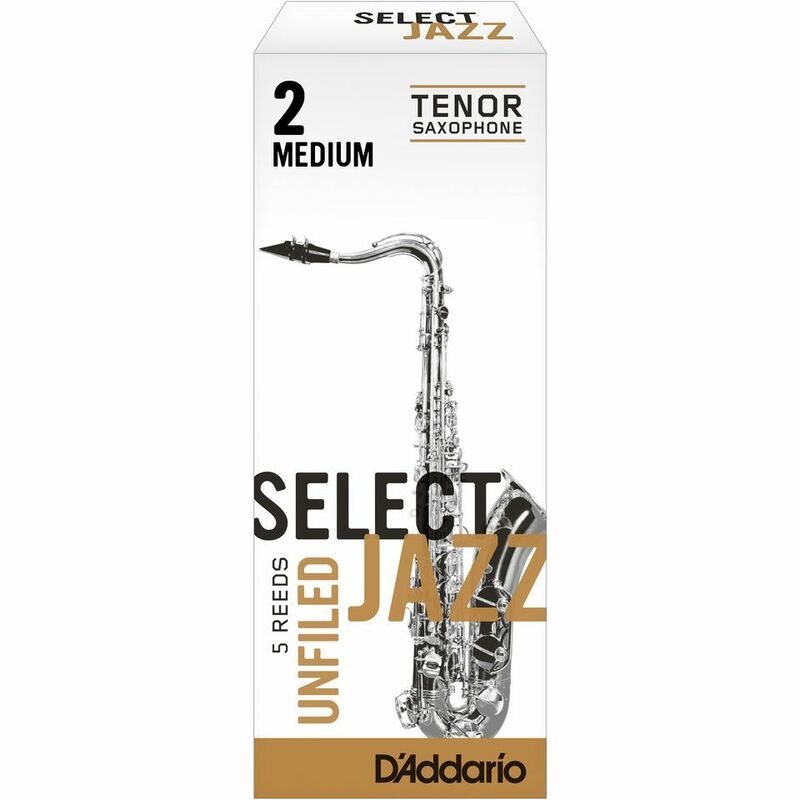 The Rico Select Jazz Unfiled Tenor Saxophone Reeds Strength 2M Box Of 10 feature the thickest spine and blank of D'Addario's jazz reeds, with a traditional tip shape. The Select Jazz cut offers great projection, focus, and a vibrant sound. They are available in both filed and unfiled models. Offered in third strengths, rather than half strengths, players can choose the most precise strength for their individual equipment.